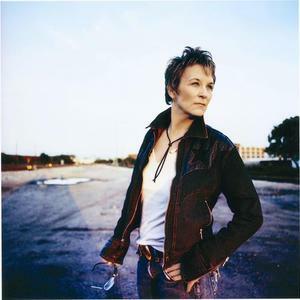 Mary Gauthier (born in Baton Rouge, Louisiana in 1962) is an American folk singer/songwriter. Given up at birth by a mother she never knew, Mary was adopted. At age 15, she ran away from home and stole her parents' car, and spent the next several years in detox, halfway houses, and living with friends; she spent her 18th birthday in jail. These experiences provided fodder for her songwriting later on (particularly her song "Drag Queens in Limousines"). Later on, she enrolled at Louisiana State University as a philosophy major, but after five years there, dropped out due to drug problems and moved to Boston. After working waitress jobs and eventually being promoted to manager of the restaurant where she worked, financial backers paid her way to attend the Cambridge School of Culinary Arts and she opened a Cajun restaurant in Boston's Back Bay neighborhood, "Dixie Kitchen" (also the title of her first album). She wrote her first song at age 35. After the release of her first album, she sold her share in the restaurant to finance her second album, Drag Queens in Limousines. Gauthier is an out lesbian and two of the songs on her first album, "Goddamn HIV" and "Skeleton Town", dealt with AIDS. Her surname is pronounced "go-chay."